Xenophobia’s re-emergence in South Africa that left several African national displaced and killed. 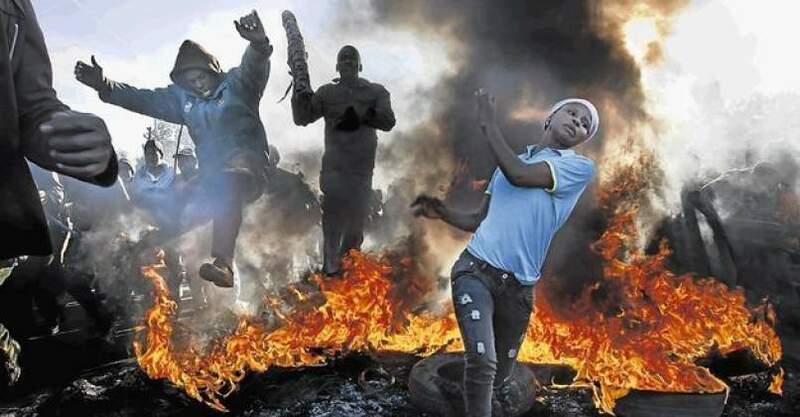 The 2019 marks yet another shameful year in a historical calendar of South Africa since the outbreak of xenophobic violence in the country, which has continued sporadically, and sometimes more systematically in different parts of the country. The political mantra, that proudly referring South African as a ''rainbow nations'' has turned it into barbarism. Police in KwaZulu-Natal is waiting for a full report from Greenwood Park Police Station into reported cases of xenophobic violence that afflicted parts of the city on Tuesday. South African and foreign nationals alike have been flooding social media with messages of support after graphic, shocking video and imagery did the rounds on Twitter and Facebook this week. Protests erupted, with police having to intervene in the areas of and surrounding Kenville, Inanda Road and Sea Cow Lake in Durban. It is alleged that on Sunday a group of about 100 people attacked tuckshops owners and local shop owners at Kernville, Sea Cow Lake, Inanda bridge and the surrounding areas in Greenwood Park area. South African police contained the anti-immigrant marching in Pretoria, South Africa. Police fired rubber bullets and stun grenades to control the situation. Photo: Alet Pretorius. 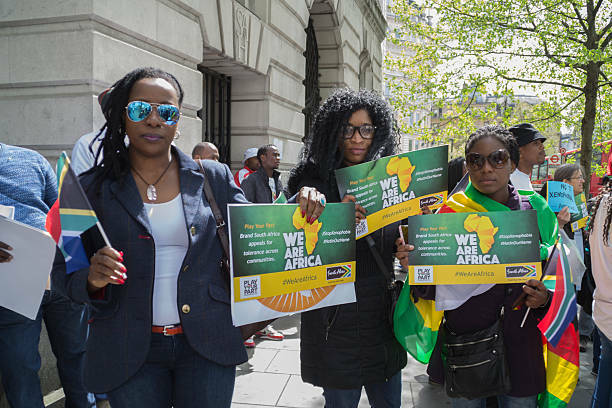 A number of African nationals in South Africa lost their lives and more than 200,000 were displaced during xenophobic attacks in South Africa 10 years ago. According to UNHCR 2018 report, it contended that there has been a steady increase in the expression of xenophobic sentiments at both the level of officials within the state, as well as in the popular discourse in the country. Foreign nationals have, yet again, been attacked, displaced and had their shops looted in South Africa. After 2018 melee attacks on foreigners, the government joined civil society and international organisations in trying to ensure that such bloodletting would never happen again. But, it has occurred again. Why? Firstly, both the government and civil society are culpable. The Somali Community Council in Kwazul Natal had referred this xenophobic intimidation to the authority and relevant police offices last year in order for the incident to be addressed and properly mitigated before it spirals into mob violence. In May 2008 Pierre Matate, the co-ordinator of the KwaZulu-Natal Refugee Council, wrote to then eThekwini Mayor Obed Mlaba, Ministry of Home Affairs, the Office of the KwaZulu-Natal Premier, the Minister of Justice, and the Presidency, and others leaders, expressing concern about threats of mob violence against foreigners living in Durban and surrounding areas. There appeared to be little or no response from the authorities. Savious Kwinika, from the Centre for African Journalists, contended that “politicians are desperate for votes, so in the tense fight to win over the electorate who are bearing the brunt of economic challenges such as poverty and joblessness. It has become fashionable to single out foreigners for South Africa’s economic woes. This view was reinforced by Marc Gbaffou, chairperson of the African Diaspora Forum (ADF). “We are definitely worried while getting closer to the general elections scheduled for 2019,” he said. “This is because based on past experience, foreign nationals have paid with their lives during such elections … Those politicians who have no tangible arguments to convince their electorate always take the shortcut by accusing foreign nationals. It’s a populist approach which seems to be working very well in South African especially African National Congress's politics. The idea is to make community members‎ believe that immigrants are the cause of their suffering. The repeated attacks on the Africans who are being singled out in these type of attacks since the past 10 years. Gbaffou has contended that the communities who protest because of poor service delivery are frustrated and “are taking it out on migrants. ''It can be any one of us here who comes across a crowd which is protesting … because you are from Zimbabwe, Ghana, Mozambique, Ivory Coast or Liberia, people decide to kill you.” The ADF maintained that South Africa was only interested in the African continent for business and investment purposes, but must “first accept the people who came here, before (any) talk about doing business”. Furthermore, a compassionate, humanitarian approach was required to understand their plight, and the South African Government must introduce legislation to protect migrants. Michael Elion's sculptural tribute to Nelson Mandela with an anti-xenophobic reinterpretation made on April 28, 2015 at Sea Point Promenade in Cape Town, South Africa. 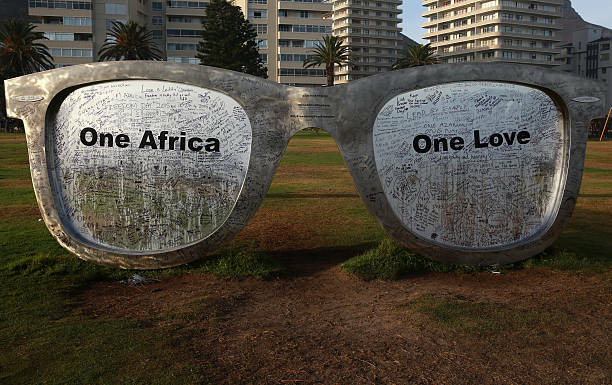 On the glasses lenses, the words One Africa / One Love and My Freedom Is / Your Freedom. Photo: Nardus Engelbrecht. However, the Bill of Rights in chapter two of the South African Constitution is a cornerstone of democracy. It enshrines the rights of all people in our country and affirms the democratic values of human dignity, equality and freedom. The major concern is only weakness in enforcing the law and order. According to the Human Rights Watch World Report 2018, notwithstanding a decade of attacks and threats against foreigners, “the South African authorities appeared reluctant to even publicly acknowledge xenophobia and in taking a decisive action to combat it. Virtually no one has been convicted over past outbreaks of xenophobic violence, including for the Durban xenophobic attack April 2015 that displaced thousands of foreign nationals, or the 2008 attacks, which resulted in the deaths of more than 60 people across the country”. These related issues raised by the Human Rights Watch World Report is an indication of South African government’s failure to approve the draft National Action Plan to combat racism, racial discrimination, xenophobia and related intolerance, or provide a mechanism for justice and accountability for xenophobic crimes. Politicians also continued to promote a public xenophobic discourse with impunity. On 14 July 2017, Deputy Minister of Police Bongani Mkongi asked: “How can a city in South Africa be 80% foreign national? That is dangerous. South Africans have surrendered their own city to the foreigners. The government continues to sideline xenophobic violence the same way it does most violence affecting poor South African communities. It has naturalised anti-outsider violence by blaming it variously on criminality or the natural resentment poor South Africans feel towards those they perceive as “stealing” opportunities from them. Civil society efforts have fared little better in arresting the xenophobic violence. Many organisations, foreign and domestic, include SADC and African Union have made no determinant response. VictimViolence Instigation: There is a continuous tendency among elements of disunity trying to deviate the genuine attention from serious topics such as Land by spreading false information. The people who don't want Africans to come together unite often misled black masses, whom the majority are so naive to the extent of inciting xenophobic violence. 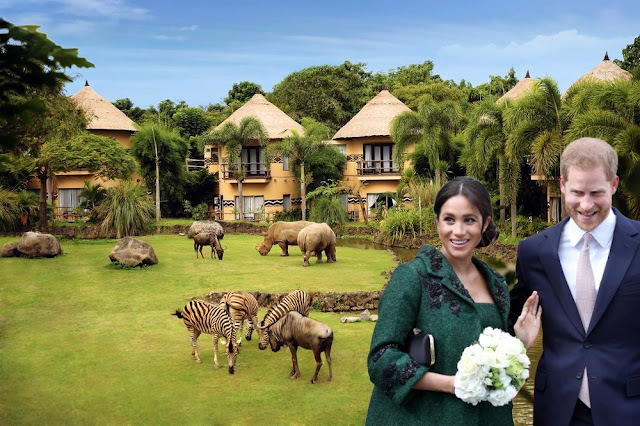 The social media ran by faceless profiles are busy at works spreading viral ''BREAKING NEWS'' to instigate xenophobia among African people themselves: African populace lack clairvoyance, as a result, people are being hypnotised by social media. The solution required is to teach people not to react (share/like) to any fake content and the authority should recalibrate how xenophobia is covered, particularly how stories are told about migrants – their rights, suffering, and their relationship to the citizens around them. The way it’s currently done is doing more harm than good. 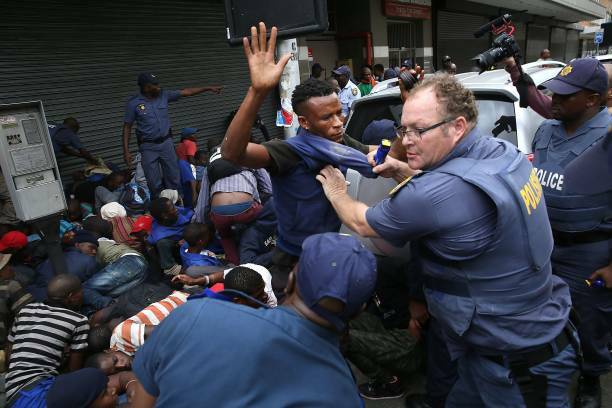 South African coverage of migrants falls into what the president of the global Ethical Journalism Network, Aidan White, recently noted was a trend towards “victim journalism” in global migration coverage.